In the middle of poverty and while begging for financial aid from the IMF, the Zambia regime has purchased five planes for cash from Russia. One expensive plane is for Edgar Lungu to fly around. 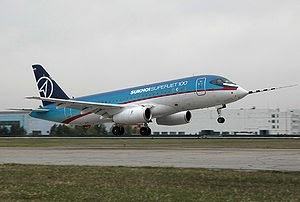 Russia’s Sukhoi Civil Aircraft company says it has concluded a contract with Zambian carriers to deliver a total of five Sukhoi Superjet 100 passenger planes in 2018, president of Russia’s United Aircraft Corporation (UAC) Yury Slyusar said Friday.